The Kings of the West Mod adds Minas Morgul into the game as both a new map to play on as well as a new upgraded castle base for Mordor in Skirmish. 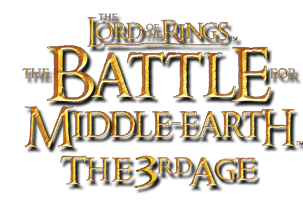 The mod also adds new heroes like Shagrat, Gorbag, the Mouth of Sauron, Gothmog, Erkenbrand, Theodred, Elfhelm, Grima Wormtongue, Sharku, Ugluk, Madril, Mablung, Beregond, and the Blue Wizards. Existing heroes such as Saruman, the Witch-King, Aragorn, and Theoden get new powers and mounts. And the heroes each side gets has been changed: Gondor now receives the 3 hunters as well as the new mini-heroes, while Rohan gets a host of new Westfold heroes. Gandalf and the Blue Wizards replace the Army of the Dead as the super summons for Gondor and Rohan respectively, while Sauron replaces the Balrog for Mordor. Each side also gets new units such as the Citadel Guard and Tower Guard for Gondor, Uruk Scouts for Isengard, Royal Guard for Rohan, Morgul Orcs and Rhun Swordsmen for Mordor. The mod will also include several new maps such as Minas Morgul and other locals. There will also be several new generic maps for battles focusing on army tactics rather then terrain. In addition, the AI has been revamped for the mod. It is now much stronger and harder to beat. It will also use all the new buildings, units, heroes, powers, and spells that the mod introduces. More in-depth information as well as many Screenshots are available on my website as well as my forums. For comments and questions, please visit my forums. As of August 12th, 2009, the mod has been released!!! You can find a download link at my site or below. Version 1.2 has just been released! This is something most people don't know about,the Tower Guard are NOT an elite military force! All they are is the permanent garrison in Minas Tirith(they always stay in Minas Tirith as its protecting amry). The Fountain guard is the unit you see for the tower guards except it makes no sense because they guarded the white tree of Gondor. On your site you say, approximately finished, but do you know when? And do you have an idea what your going to do after that mod?